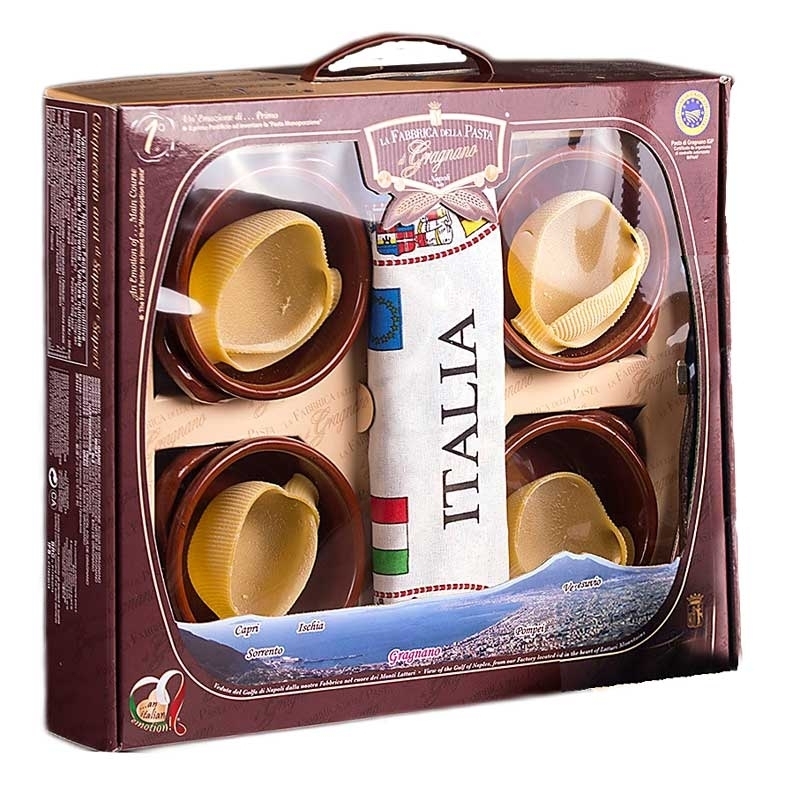 Each pack contains 4 caccavels arranged in as many Vietri terracotta pans. 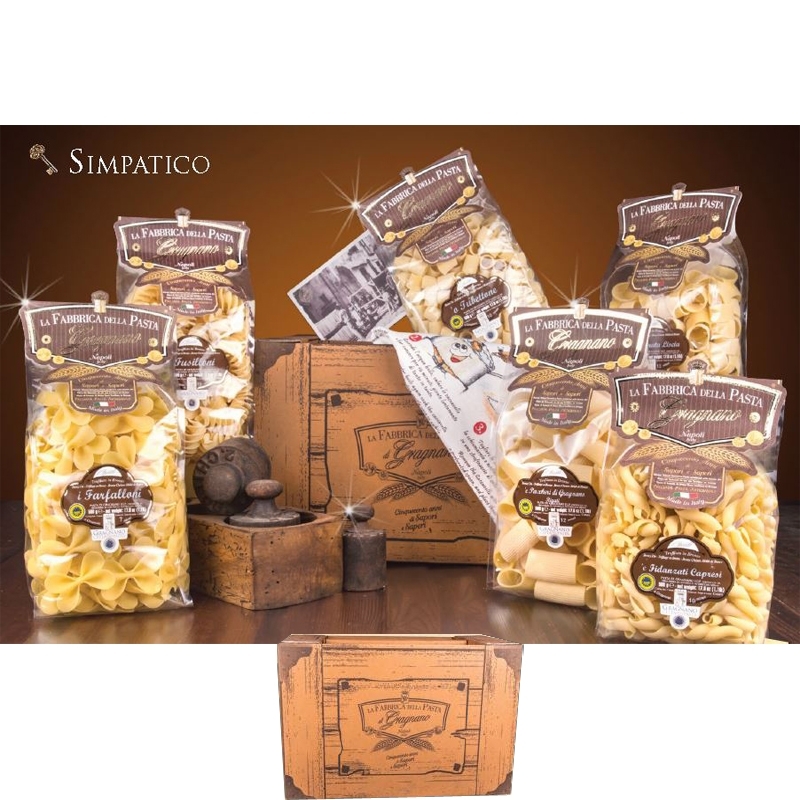 The largest pasta in the world is called caccavella (which means pot), weighs 50 grams and is 6 cm high for a diameter of 9 cm! 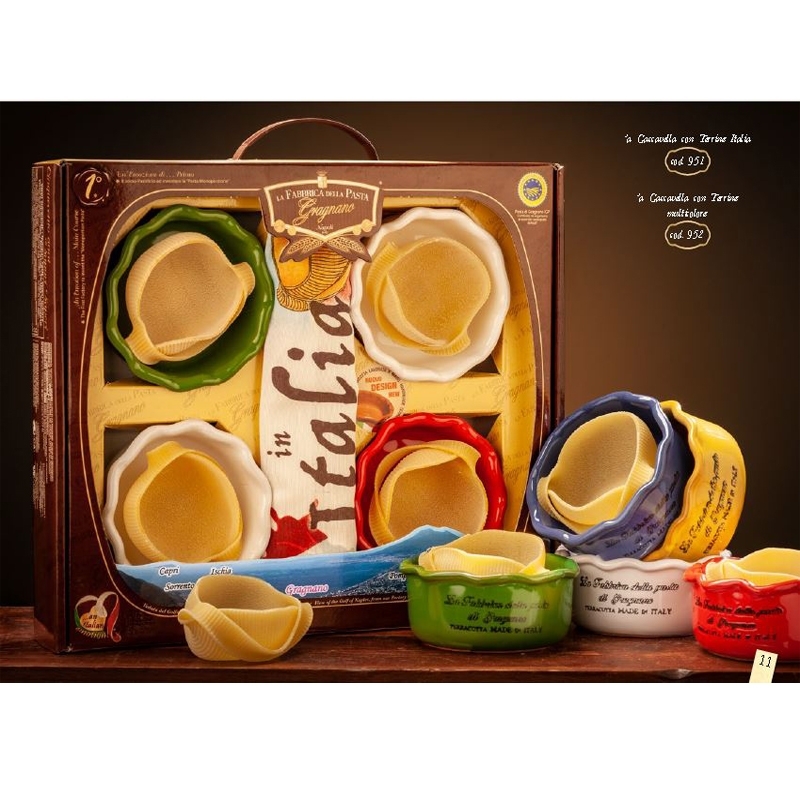 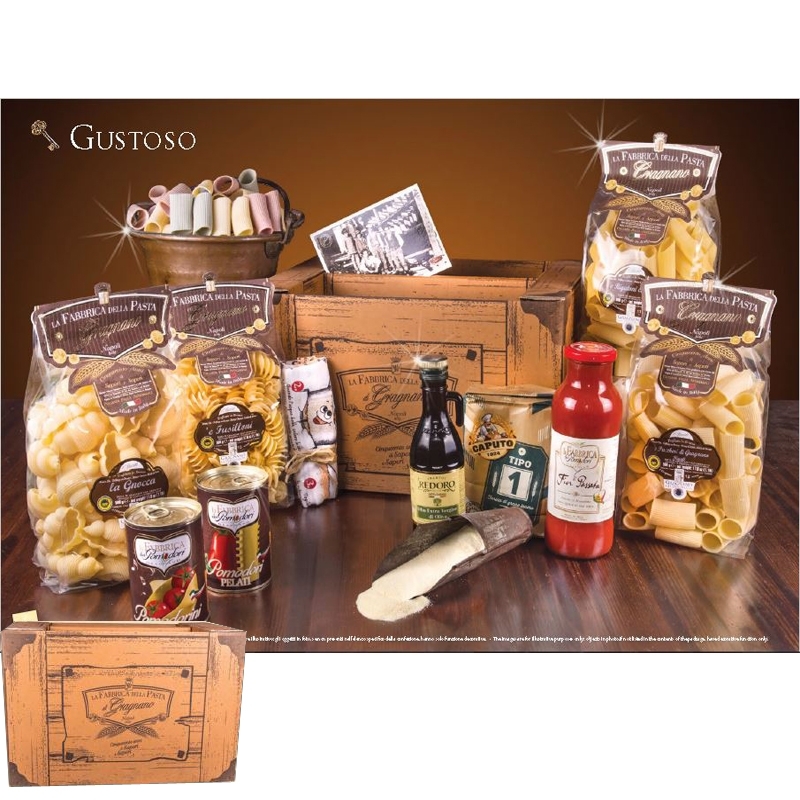 The new pasta format is also proposed as a gift idea thanks to the innovative packaging. Each pack contains 4 caccavels arranged in as many terracotta pans as the colors of the Italian tricolor, made exclusively by ceramists of Vietri sul Mare. 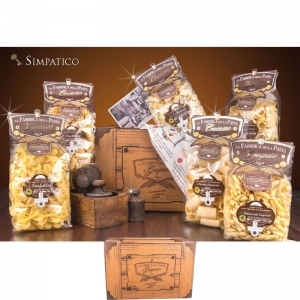 On the back are two recipes, translated into 5 languages, which suggest two different ways to prepare pasta. 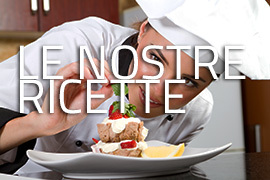 The first, alla sorrentina, with tomato and buffalo mozzarella; the second, to caprese, with small tomatoes and calamari. 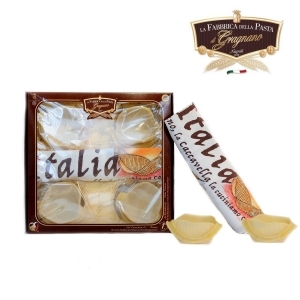 The back of the package also has a photo of the panorama of the Gulf of Naples seen by Gragnano that, consumed the product, can be cut out to become a nice picture.